The South Work at Opal Moon (opalmoon.net). Held from 10-6 on Sunday, June 22. This is the first of four daylong workshops introducing the work of the South of the Peruvian Medicine Wheel. In addition to learning to invite your power animals to help on the Healing Path, you'll learn how to work with a pendulum to test and balance chakras, work with your luminous energy field, and you will participate in a fire ceremony for the South work. You will also learn about Mexican ribbon healing, and (time and weather permitting), engage in a Mexican flower healing circle. 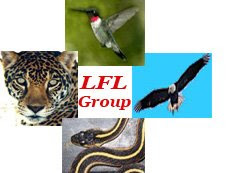 check out our website at LearningforLifeGroup.com and sign up for our newsletter!